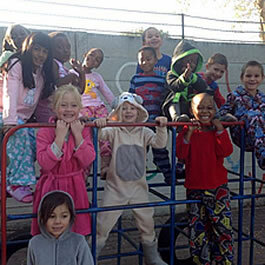 Smart Brats Nursery School was established in 1996 and has been providing quality child care for the past 20 years. Situated in Allens Nek, Roodepoort we are within easy access of Weltevreden park, Randridge, Little falls, Honeydew, Radiokop and surrounding areas. All our children are happy and learn skills for formal school. 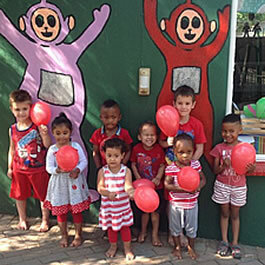 Most of our children continue on to Agapeland, Charterhouse and Constantia Primary School where they begin their Grade 1 year. 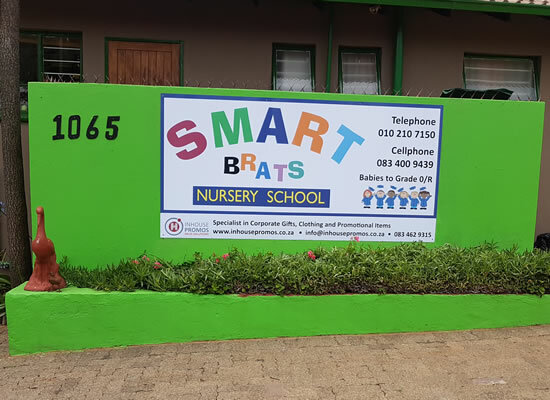 We at Smart Brats are proud of our learners, most of them have advanced to being prefects and many have achieved distinctions. They have made us proud. 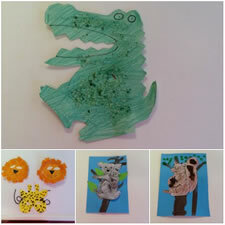 We cater for ages 3 months to grade R. All meals are included, we offer extra mural activities including swimming. Open during school holidays. Every Day is open day for parents to view our school. We open at 6:30 am to 5:30 pm. We supply parents with a structured time table of our weekly themes. We do swimming, karate, EQ Explore, Soccer, Ballet, Young engineers. Phyzz kids and playball are included in school fees. We cater for vegetarian children and special dietary requirements. Children get to bring their own fruit every Wednesday which they enjoy after lunch. Absolutely fantastic school with very loving teachers! One of the best early learning centers with loving and caring teachers ever in West Rand, Johannesburg. We have fond memories of you and your lovely school! So happy to see it still going strong!